All of us use uTorrent for downloading movies, games, softwares and many other stuff from the Internet. 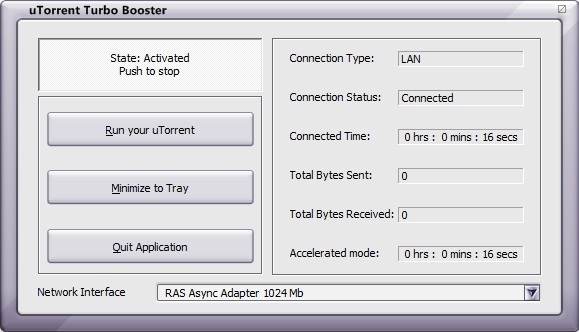 So if you use uTorrent, we have a tool called “uTorrent Turbo Booster” that will increase your downloads speed manifold. Try the tool and leave your comments if it was really useful.